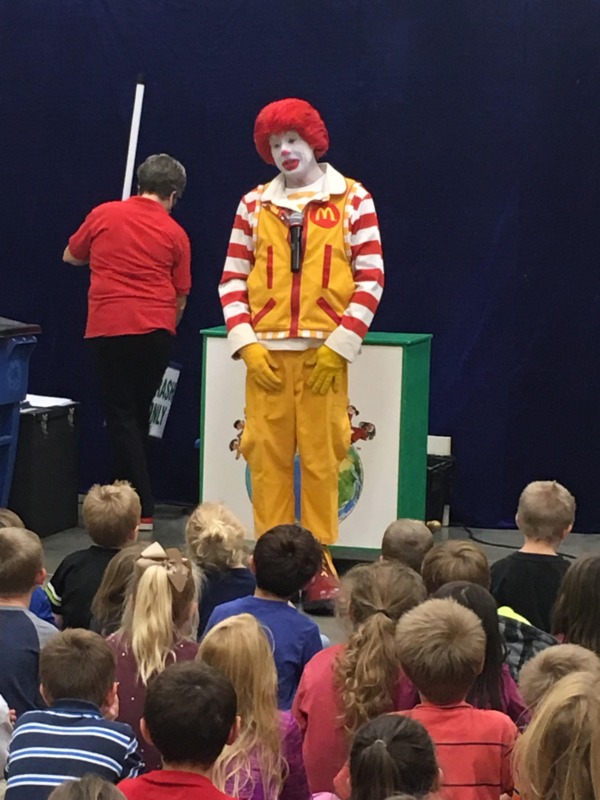 Recently the Glenwood pre-school through second grades welcomed a special guest speaker! 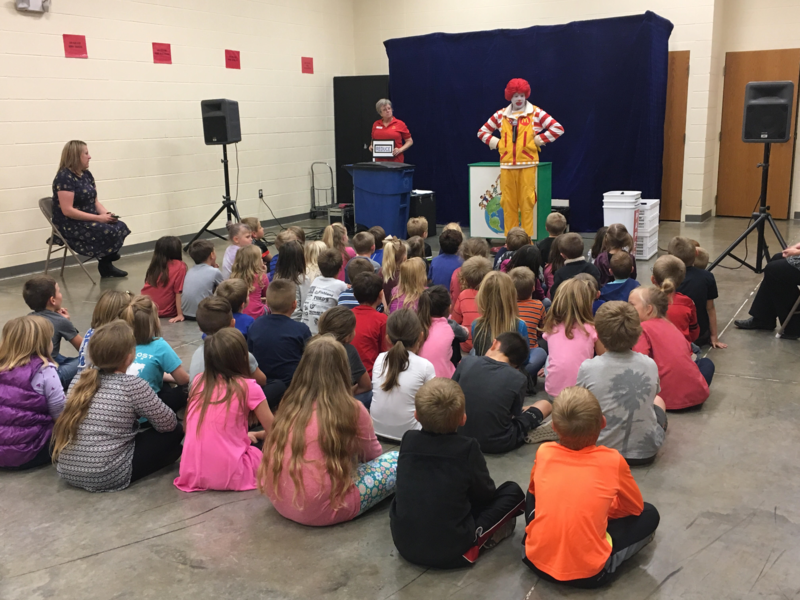 Ronald McDonald spoke with students to share the "You and Me and Ecology" program that emphasized the importance of "Reducing, Reusing & Recycling." 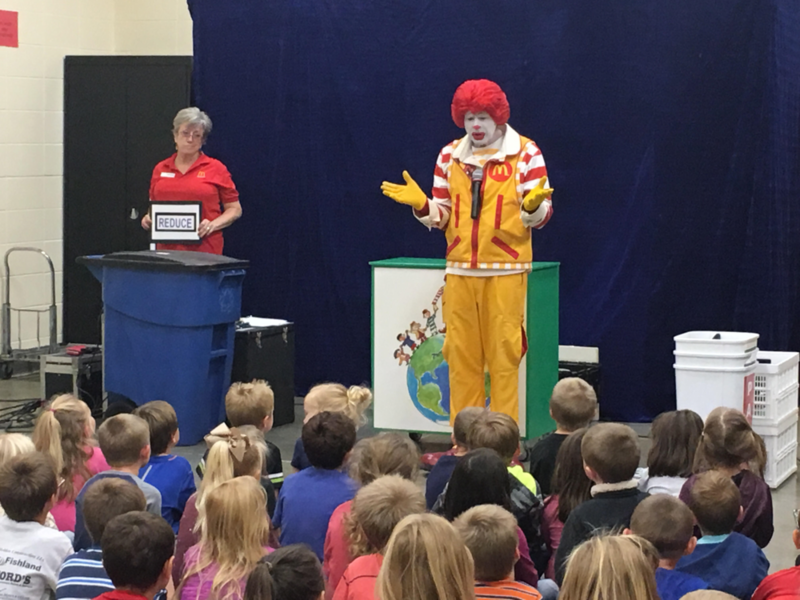 Ronald used songs, games and magic to explain the little things everyone can do daily to help save the planet. Thank you, Ronald!